At Oak Grove we believe that “Everyone is a child of God.” We provide mission and education opportunities for all ages to inspire and enrich your soul. You are welcome here! 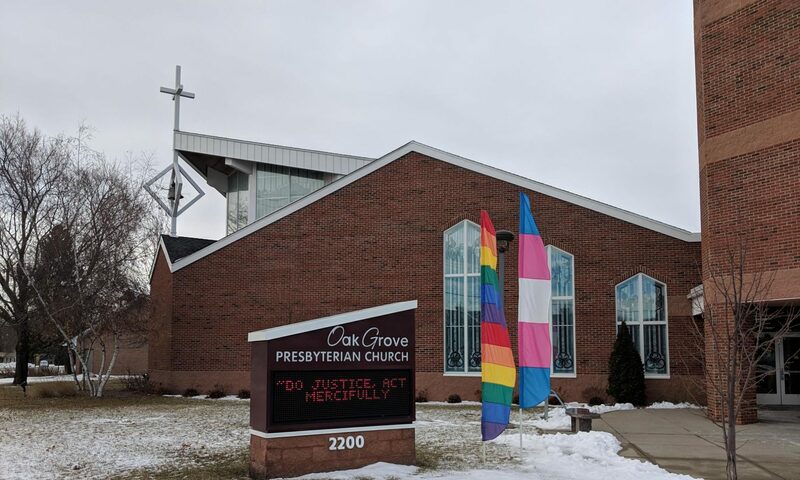 Through the generosity and volunteerism of people like you, Oak Grove is able to serve people suffering from poverty, abuse, hunger, severe medical issues and much more. Originally, students involved in the Homework Connection program providing homework assistance met at Oak Grove instead of the schools. 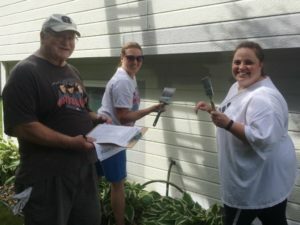 We also organize volunteers to participate in local programs including Loaves and Fishes, Bloomington Meals on Wheels, Bridging, and Simpson House. Oak Grove was a founding member of VEAP(Volunteers Enlisted to Assist People) and Cornerstone. Oak Grove tries to offer at least one international mission opportunity per year in our congregation. 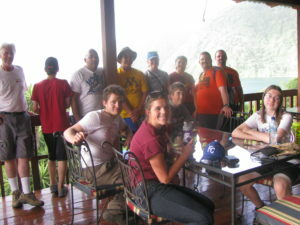 For information on upcoming mission trips, please contact the church office. Since 1996, Oak Grovers have been volunteering their time and talent for local projects at Mission in San Lucas Toliman, Guatemala. Oak Grove contributed in excess of $40,000 towards the construction of the Sorg Sentrum care center. The center was dedicated in the fall of 2009; 17 Oak Grovers were present for the grand opening. Through the Presbyterian Disaster Assistance, an outreach program of the Presbyterian Church (U.S.A.), Oak Grove is able to respond quickly and generously when communities are adversely affected by crises and catastrophic events. Find out more. From 2011 to 2013, Oak Grove raised $69,500 to build classrooms for girls in Martinpur, Pakistan. The project supported three classrooms and the purchase of desks and schoolroom supplies. In November 2012, five Oak Grovers attended the classroom dedication in Martinpur.